I was at last year's Malaysia's Drinking Water Week campaign launch, but couldn't make it this year. Nevertheless, the good folks from 3M Malaysia has sent me the news on their latest collaboration with 11street. 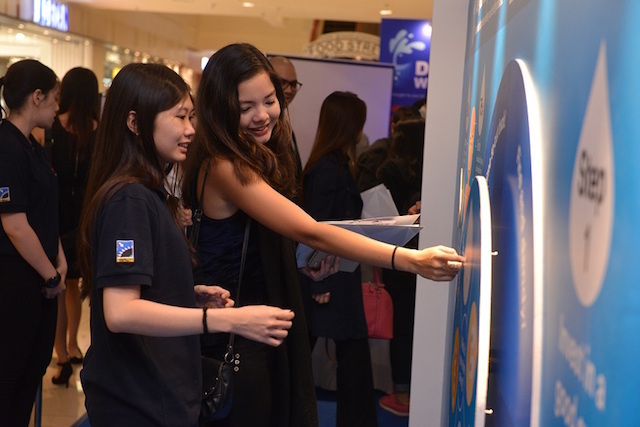 With an aim to raise awareness and advocacy for cleaner, clearer and better-tasting water and to inculcate good drinking water habits amongst Malaysians, the five-day activation campaign will feature 3M’s first-ever 3D Water Droplet Monument. 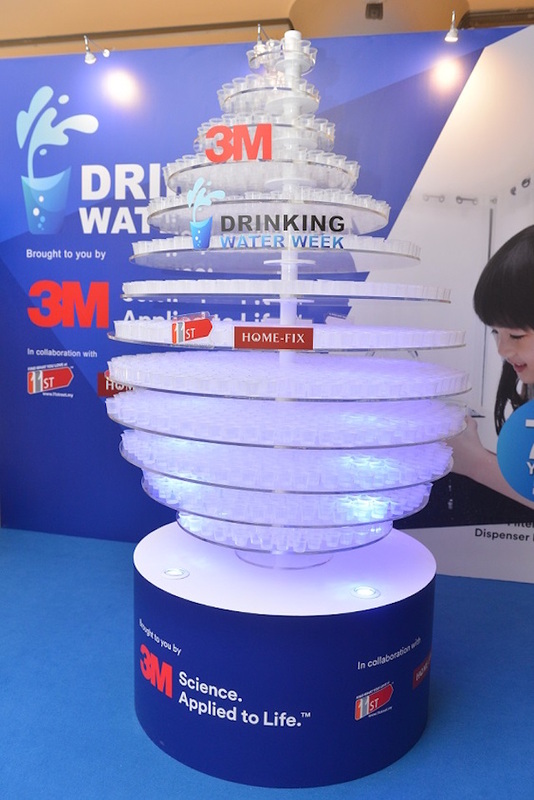 3M’s first-ever 3D Water Droplet Monument, a six-foot tall ‘droplet’ to capture shoppers’ attention which serves as a reminder to drink more water during this stretch of unpredictable weather. Cups of water labelled with insightful water facts will be handed out to by-passers in order to incite conversations about the benefits of drinking water. After finishing each cup of water, shoppers will then place the empty cup onto the monument. The completed monument aims to symbolise healthier Malaysians through better drinking water habits. To garner more support, 3M is partnering with one of the largest e-malls in Malaysia, 11street as its official online dealer with the aim of reaching out to the whole nation. 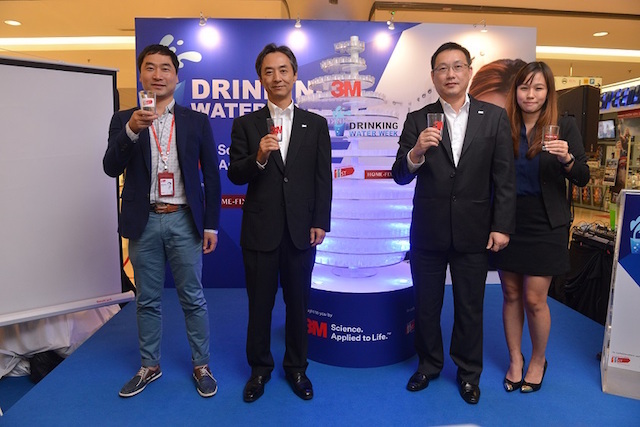 At the launch, 3M Malaysia also introduced its latest technologically-advanced product, 3M Filtered Water Dispenser HCD-2. It features a two-step dual technology to filter physical impurities; firstly, through carbon filtering and secondly through UV technology to reduce 99.9% pathogenic viruses and bacteria. It also features Sanitary Quick Change (SQC) to highlight how a filter cartridge can be quickly replaced in 10 seconds, three different temperature options (hot, lukewarm and cold) and an instant boiling option that boils water in under 90 seconds. However, the most prominent feature is the scale inhibitor that reduces scale formation on the heating pan for consistent boiling performance. 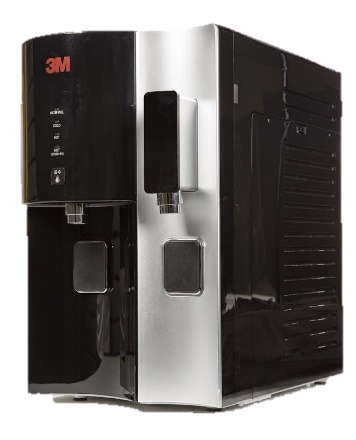 3M Filtered Water Dispenser HCD-2. For the duration of the event, 3M and 11street are giving patrons of 1Utama a chance to win exciting 3M prizes through their Stack It and Instag It! Instagram photo contest. Participating shoppers will have to stack their cups on the 3D Water Droplet Monument, take a photo of the monument from a creative perspective and upload it on Instagram with the hashtag #LifeWith3M and #StackItWith3M and tag 11street’s Instagram, @11streetMY. Good, good! Drink more water. I do that...all the time!